Last time in the Christopagan series we discussed the Dark and New Moon phases. 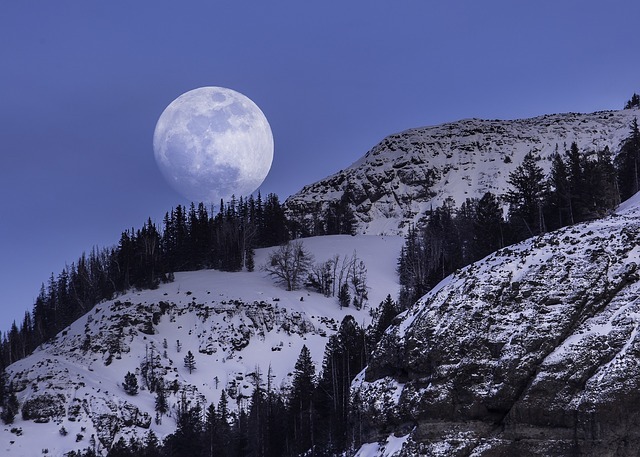 In this post I’d like to follow the phase of the Moon into the Waxing Moon phase, what it is, what it means to us, and how we can connect or best utilize its energy.What is the Waxing Moon? The Waxing Moon is the time when the first sliver of light enters the New Moon. This time lasts from that first sliver of light until about one to two days before the Full Moon phase. An easy way to distinguish if it is waxing or waning (others get it confused as I do sometimes) is by thinking of a candle. When making a candle you add wax to the wick (if you’re doing the dip method of coarse) and this is called waxing. The same is true for the moon when it is adding light to its surface. What does it mean to Pagans? To most Pagans the Waxing Moon is a time of building or gaining momentum to the precipice of the Full Moon. This reflects the maiden energy of the Goddess that the Moon symbolizes. There aren’t usually rituals done specifically during this time as it is not one of the high or low points of the Moon. What does it mean to Christians? There wasn’t anything that I found in my research that spoke biblically to the Waxing Moon in particular. I am however reminded of the images of the Virgin Mary depicted as Our Lady of Guadalupe. In this depiction we see the Virgin Mary standing upon a crescent moon. As many Catholics out there see her as an ever virgin, I cannot help but wonder if the crescent moon that she stands on is a nod to the maiden aspect in which she embodies or as the waning aspect of a crone hood state. Could this be a coincidence or is it evidence that the Church and common Pagan practice are one in the same? If it is in fact showing that the Church and Paganism are one in the same, then this would conclude that the Virgin Mary is the feminine divine of the Church. This isn’t a new outlook for many Christo-Pagans out there by any means. It isn’t exactly something that resonates with me at this moment, however I do find it interesting to consider. How can we connect with the Waxing Moon energy? Connecting with the Waxing Moon energy is quite easy to do. Since this is a time of gaining momentum, this is a great time to build on what was started during the New Moon. This can pertain to any spell work that you started, or something that you are continually going through that will help you become your best self. This is the time of continuing your progress in whatever area you are working in. So even if the Waxing Moon isn’t a time usually a ritual time, I would encourage others out there to incorporate the Waxing Moon energy into your practice. Focus on what you want to gain in your life and work at it. Hold a ritual celebrating the growing of the lunar energy or empowering your spell work. I hope this has been thought provoking for you and look forward to your comments on how you view the Waxing Moon and connect with its energy.